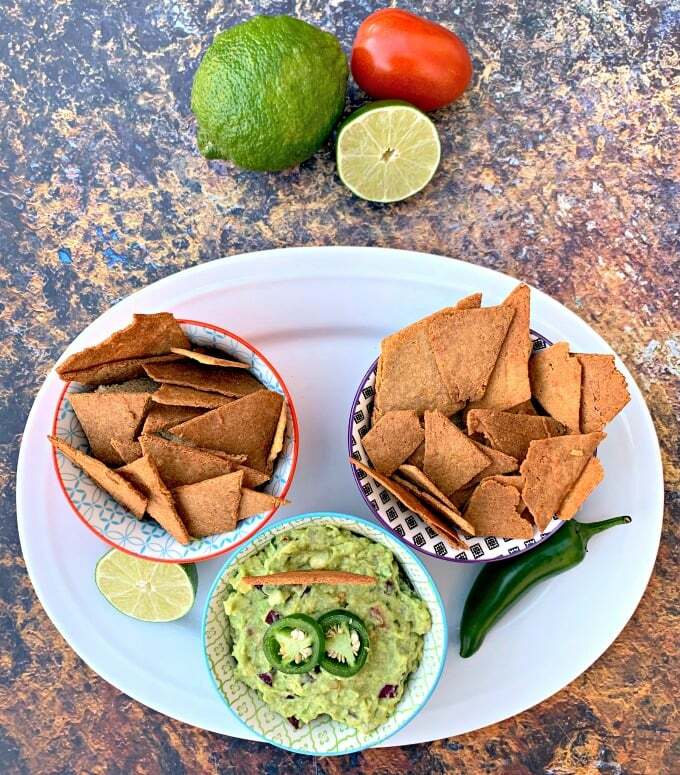 Easy Keto Low-Carb Guacamole Avocado Dip is a quick recipe for the best guacamole, keto chips, and other dippers you can find. 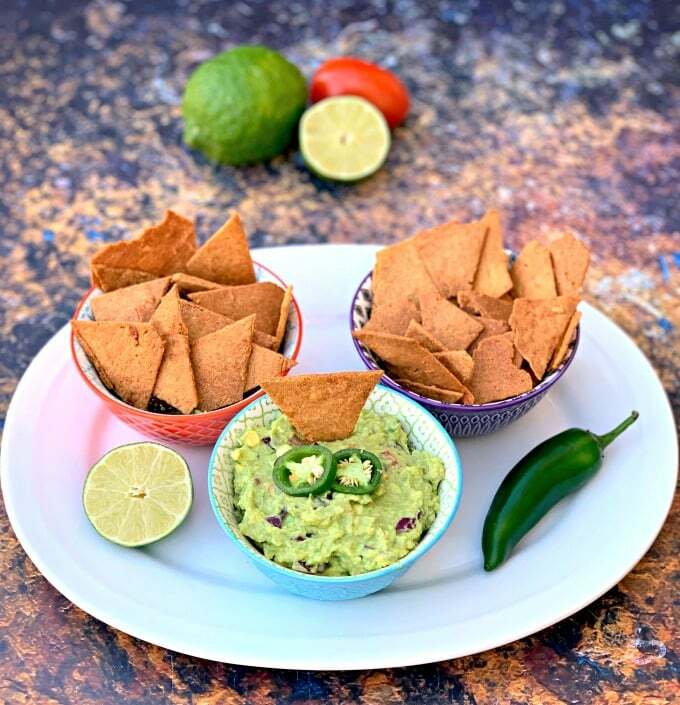 Serve this dish as an appetizer at events and parties or nibble on it as a snack. This dip is low carb and has the perfect macros for the keto diet and lifestyle. Ditch the store-bought and make your own! 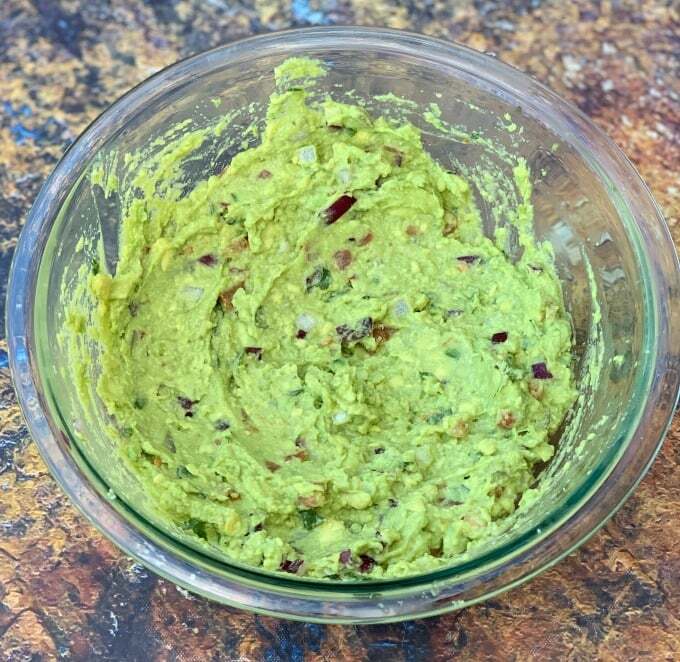 Guacamole is a dip that is rich in avocados. It is often used in Mexican cusisine (among many others) and served as a dip, condiment or salad. 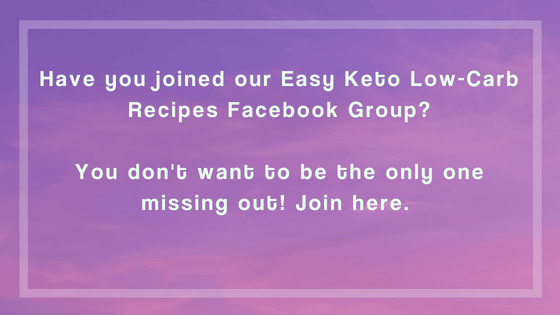 Is Guacamole Low Carb, Keto and Keto-Friendly? 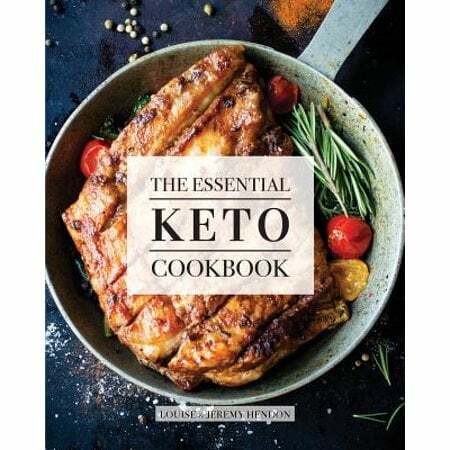 Is Guacamole Ok on Keto? 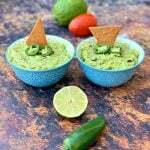 Guacamole is perfect for the keto diet and lifestyle because the main ingredient in the recipe is avocado. Avocado works wonders for keto because it’s low in carbs (consisting mostly of dietary fiber) and high in monounsaturated fat (the good kind). Is Guacamole Good For the Keto Diet? Is Guacamole a Low-Carb Food? Avocado is often touted as magical for keto. It’s actually considered a fruit and is low in sugar in comparison to others. It’s also low in sodium, cholesterol, and saturated fat. Is Guacamole High in Carbs? This recipe has only 2 net carbs per serving. The entire dish makes 10 servings. Guac shouldn’t be loaded with carbs if you stick to the traditional ingredients. How Many Carbs Are in the Chipotle Guacamole? The guacamole at Chipotle has 2 net carbs per serving, but one regular sized portion of their guacamole has 4 total servings. Meaning, if you eat the entire thing, that is 8 net carbs total. 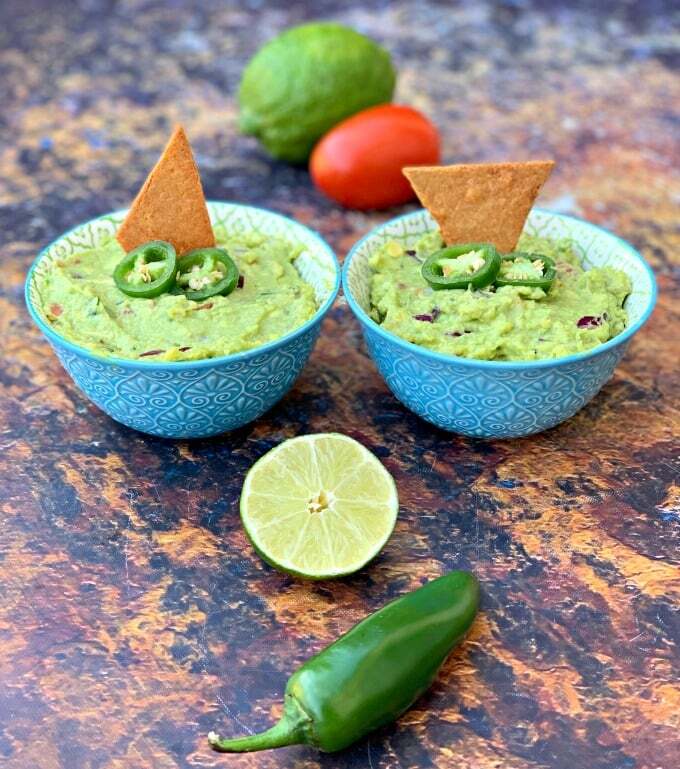 Pair these with my Keto Low-Carb Tortilla Chips Recipe! I also love the Parmesan Cheese Whisps from Cello. These are available on Amazon. 1/2 cup chopped red onion I am a huge fan of onion, so I sometimes add more. 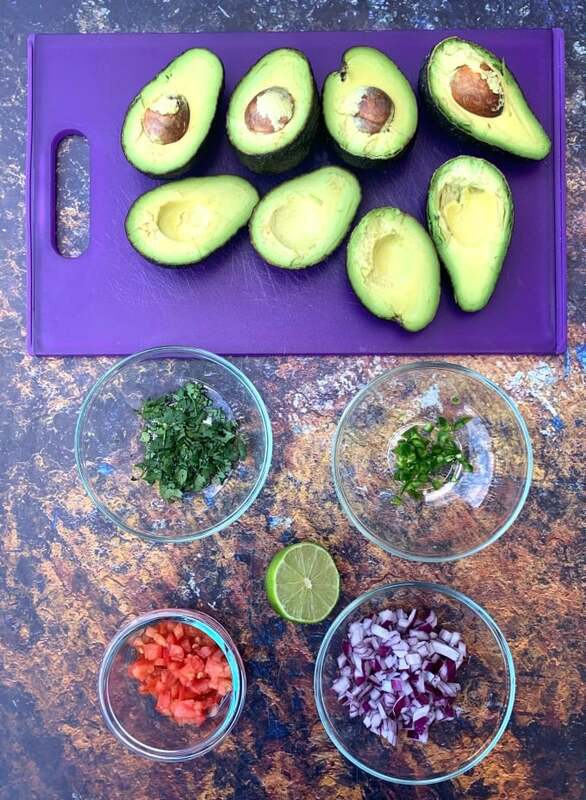 Cut the avocados in half and then remove the pits. Scoop out the avocado and place in a medium bowl. Add the salt and using a fork or potato masher, mash until completely smooth. Be sure to choose the appropriate avocado. It should feel soft, but somewhat firm. It shouldn't be overly soft if you were to squeeze. It should also be a nice dark green color. Feel free to add more of each ingredient as it suits your tastes! Love, love, love this recipe and use it all the time. I put guac on everything I can. 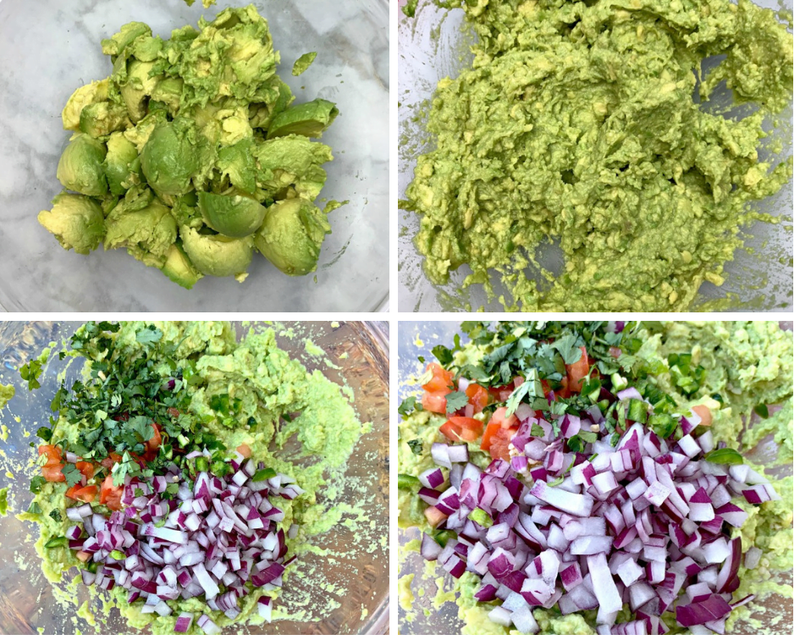 There is nothing better than homemade guacamole and this looks so amazing! Love the flavors you chose!